Gulf states' fear of Iran is hardly unfounded. 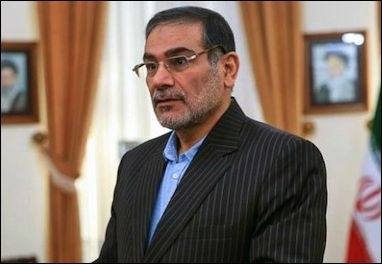 Former Iranian defense minister Rear Adm. Ali Shamkhani, seen here, has warned that an attack on Iranian nuclear facilities would result in "a blitz of missiles at the Gulf states ... at strategic targets, such as refineries and power stations ... dozens, perhaps even hundreds, of missiles that would be launched simultaneously at selected targets." While discussions of Iran's growing strategic threat focus almost exclusively on its nuclear capabilities and objectives, Tehran's massive ballistic missile arsenal poses a clear and present danger to both the oil installations of the Persian Gulf monarchies and to the Western military presence in the region. This in turn has prompted members of the Gulf Cooperation Council (GCC) to acquire air defense and ballistic missile defense (BMD) systems at various levels and in various configurations. At the same time, endemic inter-gulf rivalries (e.g., the growing rift between Riyadh and Doha) have left these nations highly vulnerable to Iranian missile threats. Rather than try to match the might of the United States and its allies, Tehran has adopted the tactics of asymmetric warfare against soft targets, specifically civilian shipping and infrastructure facilities such as transport terminals, oil refineries, ports, and desalination facilities—many of which dot the Arabian side of the Gulf coast. These asymmetric tactics are intended to offset the reliance of the West and the Gulf states on advanced weapons systems. Due to its aging air force and difficulties in obtaining spare parts for its predominantly Western military hardware, Iran has chosen to focus on a gradual but methodical expansion of its ballistic missile force, building the largest surface-to-surface missile arsenal in the Middle East. These missiles are designed to be launched from the ground or the sea and to strike targets either on land or at sea. The most widely accepted assessment is that Tehran possesses more than 1,000 missiles in the 150-2,000 km range. Most of these would be ineffective in damaging naval vessels in the Strait of Hormuz since they are not designed to hit moving targets and their accuracy is insufficient for such small targets. However, they would still have sufficient range to threaten directly critical oil facilities in the Gulf states. Iran's superior surface-to-surface missile systems are a concrete and immediate threat. Tehran is currently improving the missile accuracy and destructive power of its arsenal in addition to shortening exposure time to hostile attack through increased reliance on solid-fuel engines, which cut launch preparation time and make for easier maintenance. This ever-growing and more sophisticated arsenal has increased fears among the GCC states in recent years, especially as Iran's ballistic missile program has not received the same level of international scrutiny as its nuclear program. As a result, there is a growing concern in the Gulf that in a potential campaign against Iran, GCC strategic installations would be exposed to more intensive and prolonged missile fire than what previously had been possible. Thus, in addition to its asymmetric maritime capabilities, such as heavy reliance on large numbers of small, fast boats and midget submarines, Iran's superior surface-to-surface missile systems are a concrete and immediate threat to Saudi Arabia, Oman, Bahrain, Kuwait, Qatar, and the United Arab Emirates (UAE). Iran would launch a blitz of missiles at the Gulf states ... and the missiles wouldn't only be directed against American bases in the region but also at strategic targets, such as refineries and power stations ... The goal would be to stun the American missile defense system using dozens, perhaps even hundreds, of missiles that would be launched simultaneously at selected targets. Iran's potential nuclear capability lies somewhere in the future; its ballistic missile capabilities are here and now. The potential fallout from such an attack would be massive: A missile attack on oil refineries and production facilities along the Gulf's western shore could have a more detrimental impact on the global economy than the more publicized possibility of an Iranian attempt to block the Strait of Hormuz. Tehran would find it difficult to hermetically seal the Strait of Hormuz given the likelihood of a confrontation with the superior U.S. Navy. Thus there is a growing fear among Gulf state rulers that Iran will feel compelled to place even greater emphasis on missile attacks against them. An Iranian attack on land-based installations, whether U.S. military bases or key oil facilities, is, therefore, the most significant threat feared by those regimes. A representative of Saudi King Abdullah said the monarch "worries more about an Iranian missile launch against Saudi oil facilities than a terrorist attack ... because he can take preventive measures against terrorism but not against Iranian missiles." All six GCC members are extremely wary of Tehran. This ranges from fears of Iranian-sponsored subversive activities carried out by Shiite communities within the Gulf states, to the disruption of the oil flow through the Strait of Hormuz, to Iran's nascent nuclear project. These fears are altering the geopolitical calculus of the region. Saudi Arabia, for example, is currently trying to mitigate the threat posed by blockage of the Straits of Hormuz by reactivating an old oil pipeline to its Red Sea ports while the UAE has opened an oil pipeline to its Indian Ocean coast in Fujaira. An examination of where Gulf states are allocating their defense expenditures reveals what formal declarations do not: Most of these states consider Iranian ballistic missile capabilities a mortal threat and are consequently investing large sums of money to diminish it. Iran's potential nuclear capability lies somewhere in the future; its ballistic missile capabilities are here and now. As a result, members of the GCC are engaged in what some in the press have dubbed a "shopping spree." The first glimmers of this acquisition effort can be traced back to July 2007 when Washington announced its intention to sell large amounts of weaponry to countries in the Middle East. Twenty billion dollars in sales were earmarked to the Gulf states, along with $12 billion in military aid to Egypt, and $30 billion to Israel. No details were given at the time nor were any specific weapon systems mentioned. Then-president George W. Bush reiterated this promised deal during his last visit to the Middle East in January 2008. The assistance was meant to bolster U.S. allies against the perceived Iranian threat though some analysts believed that it was also designed to persuade Gulf states to rethink their assistance to Islamist extremist groups such as al-Qaeda. Details of the arms deals began to emerge over the ensuing years. As things turned out, the Gulf states had ordered weapons worth much more than the initially pledged $20 billion. Most notably, almost all arms acquisitions—with the exception of sizable Saudi combat aircraft and attack helicopter purchases—went to air defense and ballistic missile defense units. Washington was not—and still is not—the sole source for weapons acquisitions in the Gulf. All six GCC members take delivery from several suppliers—a practice which is seen almost nowhere else in the world. Currently, Riyadh acquires combat aircraft from both the United States and Britain while its navy uses French-made combat vessels. The UAE operates both American- and French-made combat aircraft as well as air defense systems made in Russia. Even without the activism of Tehran, which seeks to drive a wedge between the six, tensions among GCC members are making it difficult to formulate a unified Gulf position. While the Gulf states see Iran's rise as a threat to their stability, they have adopted different policies toward Tehran given their divergent interests and respective strategic outlooks. Over the years, Saudi Arabia has preferred a more confrontational approach to Iran; in contrast, Oman and Qatar have chosen to maintain normal relations with the Iranians. Defending a nation's air-space can be accomplished by combat aircraft (sometimes using dedicated interceptors) or by surface-to-air missiles. All GCC members have invested in both means. The UAE operates both American- and French- made combat aircraft as well as air defense systems made in Russia. The Emirates also have advanced U.S. medium range air-to-air missile systems, such as those used with AIM-120C-7 missiles. The investment in these systems cannot be explained solely by the perceived threat of airborne attacks though such a threat does exist. As mentioned above—Iran's conventional air power is aging and suffers from a lack of spare parts; hence its ability to conduct sufficient sorties to threaten the Gulf states is limited. Thus, this investment can be explained by two other factors. The first is prestige. Air defense systems are sophisticated, hi-tech arrangements, only possessed by advanced and highly developed societies. GCC states aspire to be part of that "club." More importantly, air defense systems are key and necessary components to most modern anti-ballistic missile systems. For example, the MIM-104 Patriot surface-to-air missile system was originally designed to shoot down aircraft. Later upgrades have introduced the PAC-3 interceptor, which is specifically designed to shoot down incoming ballistic missiles. Thus a Patriot battery can be used to defend against both aircraft and ballistic missiles, using two types of interceptors. Bahrain, a small island kingdom to which Tehran has long staked ownership claim (and whose overwhelmingly Shiite population is not considered loyal by the ruling dynasty), finds it difficult to construct and maintain a strong military. As such, its security is guaranteed by the presence of U.S. forces—most importantly the navy's Fifth Fleet that is headquartered there—and has enjoyed the protection of two U.S. Army Patriot batteries since 2004 (set up soon after the end of Operation Iraqi Freedom). According to a Wikileaks-obtained report, the U.S. Army deployed an AN/TPY-2 forward based X-band missile defense radar in Bahrain though no official announcement has ever been made on the subject, so the question of the radar deployment to Bahrain is unresolved. Kuwait experienced war firsthand when it was invaded by Saddam Hussein's forces in 1990, so its anxiety over an Iranian threat is acute. As a result, Kuwait holds some of the largest Patriot forces in the region, for both air defense and ballistic missile defense. defense missile batteries including eighty PAC-3 missiles (which are specifically designed for ballistic missile defense) and sixty upgraded PAC-2 missiles as well as upgrades for its existing fire units (launchers) in a deal estimated at $1.36 billion. In December 2009, however, the Kuwaiti military conducted a ballistic missile intercept test using the PAC-2 GEM-T interceptor and, as a result, in early 2010, it officially requested 209 additional GEM-T missiles for an estimated $900 million. A contract for fifty missiles was awarded in December 2010. Then in July 2012, Kuwait requested an additional sixty PAC-3 missiles as well as ground equipment for two more Patriot batteries, four new radar systems, four new command centers, and twenty more launchers. The total estimated value of this request was $4.2 billon. While it is difficult to ascertain whether the various requests have materialized into contracts and how much of these contracts were eventually fulfilled, it is clear that Kuwait holds some of the largest Patriot forces in the region, for both air defense and ballistic missile defense. Oman has shown no apparent interest in ballistic missile defense and may not wish to upset its relations with Tehran. Traveling down the coast, the kingdom of Oman has been a latecomer to air defense acquisitions. Only in October 2011 did it request a multi-layered air defense system, but even then, it has shown no apparent interest in ballistic missile defense. The reasons for this are unclear. Perhaps it does not perceive itself to be under any missile threat, or it does not believe its military can absorb such complicated systems. It may also not wish to upset its relations with Tehran. Qatar, home to an important U.S. military base since 1996, hosts army Patriot surface-to-air missile (SAM) batteries and a large U.S. Air Force air-space operation center on its soil. It also has sought to procure eleven Patriot "configuration-3" fire units, including forty-four launchers, and one thousand PAC-2 GEM-T interceptors (2012) with an estimated value of $9.9 billion. Qatar has also requested two THAAD ballistic missile defense systems. The THAAD is a dedicated system, designed to intercept various types of ballistic missiles at very high altitudes though it cannot double as an air defense system. In this, Qatar followed the UAE's lead, becoming the second foreign customer of the system. The radar accompanying a THAAD battery is an AN/TPY-2 X-band radar similar to one reportedly deployed by the U.S. military there. The deal is estimated at $6.5 billion. The United Arab Emirates has an ongoing territorial dispute with Iran, so its threat perceptions remain strong. The United Arab Emirates is known to be the largest arms importer in the region and is also the only Gulf state to have an ongoing territorial dispute with Iran over the small Tunb and Abu Musa islands off the Strait of Hormuz. Whether or not it has resolved its territorial dispute with Iran in a secret deal signed in December 2013, it seems that its threat perceptions remain strong. The UAE requested nine Patriot batteries valued at $9 billion as early as 2007. Subsequent contracts were given to Raytheon and Lockheed Martin beginning in December 2008. The systems were originally to be delivered in 2013, but it is unclear whether they actually arrived and entered operational service. Also, in 2008, the UAE requested two THAAD anti-ballistic missile defense batteries, valued at $6.95 billion. The first contracts were given in early 2012. In addition, the UAE has requested forty-eight units of the Avenger point defense system for shorter-range necessities and has not hesitated to turn to other suppliers, most notably the Russians, from whom it ordered some fifty Pantsyr S-1 air defense systems. By contrast, Saudi Arabia until now has invested very little in ballistic missile defense even though it does operate the Patriot system. This is striking as Riyadh is the only Gulf state that suffered directly from ballistic missile attacks during the 1991 Kuwait war. An essential means of mitigating the threat of ballistic missiles is to deploy one's own in order to deter the enemy from using theirs. Saudi Arabia was the first GCC country to move in this direction, purchasing DF-3A missiles (also known by a NATO code name, CSS-2) from China in the late 1980s. Although outmoded today, they were intended to mitigate the threat of Saddam's Iraq with its ambitious nuclear and ballistic missile programs as well as the perceived threat of Israel's missile force. Riyadh remained silent about its missiles and only acknowledged their possession in 2014. 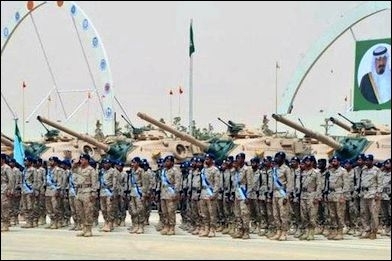 With Tehran flexing its muscle more than it has in the past, Saudi Arabia has also significantly changed its public posturing, conducting a large-scale military exercise in 2014—"Seif Abdullah" (Sword of Abdullah)—including the display of hitherto concealed Chinese-made ballistic missiles. In 2007, Saudi Arabia began to purchase CSS-5 Dong Feng 21 missiles from China. The Dong Feng 21 (DF-21) is a two-stage ballistic missile that uses solid fuel. It has a range of some 1,700 km and can carry a load of about 600 kilograms. It is much more accurate than the old DF-3A, and its CEP (circular error probability, a measure of accuracy) is estimated at about 300-400 meters. Later models of the DF-21 are also equipped with terminal guidance, enabling them to hit pinpoint targets, specifically large ships, such as aircraft carriers. It is possible that the Saudis have purchased other missiles in addition to the DF-21, including other models produced in China (such as the DF-11 or the DF-15) or even Pakistani-made missiles, such as one of the Shaheen series. Another significant change in Riyadh's strategic behavior was the kingdom's conspicuous display of power. This included a highly publicized—and first of its kind—large-scale military exercise "Seif Abdullah" (Abdullah's Sword) in 2014, which concluded with a large, first-ever military parade in which the DF-3A ballistic missiles were displayed. could reach some points on the eastern coast of Saudi Arabia as well as Qatar but could not reach Kuwait, Iraq, or Iran. Ten years later, in November 2010, Bahrain requested thirty additional missiles.It is difficult to understand the military value of this acquisition, other than the high prestige associated with the possession of ballistic missiles. The UAE first acquired the ATACMS ballistic missile system in 2006 when it requested 101 missiles, as well as twenty high mobility artillery rocket system (HIMARS) launchers, 130 GMLRS rocket pods, and other equipment estimated at $752 million. An additional request was granted in September 2014 for twelve more HIMARS as well as one hundred more ATACMS and sixty-five more GMLRS pods. In December 2012, an announcement was made regarding a similar sale of ATACMS and GMLRS to Qatar, which requested seven HIMARS launchers, as well as sixty ATACMS missiles, and large number of guided and unguided rockets. There is no air defense system capable of functioning properly without an adequate command and control system. The same is true for the sophisticated systems used to defend against the threat of ballistic missiles. Such systems need several long-range surveillance radars capable of detecting threats as early as possible. They further require sophisticated software and trained personnel to assess each threat, determine its source and intended target, assess the existing air defense assets, and allocate the most suitable air or missile defense asset to the target. It, therefore, comes as no great surprise that many countries in the region have invested large sums in acquiring various command and control systems. Such systems are often marketed under various acronyms such as C3 systems (command, control, and communication), C4 (with computers), and C4I (with intelligence). Many countries in the region have invested large sums in acquiring various command and control systems. Thus Oman is set to acquire its own command and control system (alongside air defense batteries) as is the UAE, which has selected—after fierce competition—a system called DIAMONDShield produced by Lockheed Martin. In Bahrain, the U.S. Marine Corps operates and staffs an AN/TPS-59 surveillance radar. It is unclear whether the radar belongs to the United States military or to Bahrain. The U.S. Navy also deploys P-3 Orion naval surveillance aircraft in the kingdom. In July 2013, Qatar announced a deal valued at $1.1 billion for AN/FPS-132 surveillance radar, a giant installation with a covering range up to 3,000 miles. At the time of writing, however, no contracts are known to have been actually signed. In 2008, Riyadh contracted with the European company EADS in order to build a SAM operations center to control all its air defense assets. In 2012, another contract worth $600 million was awarded to Raytheon. It has been speculated that the new systems might be a replacement for the previous system or an enhancement of it. However, command and control systems take years to develop, install, and bring into operational status. Thus, it is not unreasonable to speculate that the two orders are intended for two different branches of the Saudi armed forces. Not much has been disclosed about these systems. Apparently the EADS is intended for direct control of the surface to air assets. The second one could be designed to integrate all branches of the Saudi armed forces or intended as a separate system for another branch such as the Royal Saudi Air Force (RSAF) or for the Saudi Arabian National Guard (SANG). The first alternative points toward an attempt for better integration whereas the second alternative suggests mistrust and sectorialism. Unfortunately, the tendency in Saudi Arabia is for the second option where the SANG usually maintains its independence in weapon procurements. In Bahrain, the U.S. Marine Corps operates and staffs an AN/TPS-59 surveillance radar installation. In 2007, members of the Bahrain Defense Force were trained in how to operate and maintain the systems at Lockheed Martin's Radar Systems facility in Syracuse, N.Y. The U.S. Navy also deploys P-3 Orion naval surveillance aircraft in the kingdom. Normally a state would use such an expensive system to integrate its armed forces. Buying two different systems for two different organizations means the exact opposite. Moreover, it remains to be seen which branch of the Royal Saudi Arabian Armed Forces (RSAAF) will take delivery. The unique character of air defense command and control systems, with their goal to cover and provide surveillance of vast areas outside a country's boundaries, makes them particularly suitable for cooperation. Neighboring countries faced with a common threat could only benefit from a united air defense and a coordinated ballistic missile defense command and control system. Such a system would combine the inputs from all the resources of all the member states into a unified picture of threats and assets. So far, however, no such unified system has materialized. While the Gulf states have declared on numerous occasions that their new command and control systems will be the basis for a Gulf-wide system, as of today, the likelihood that such a structure would be implemented remains low. The Saudi case is indicative because it represents the supremacy of local and/or tribal affinities over loyalty to the greater state or the region—a trend that is particularly apparent in the desert kingdom. Indeed, it is a historical accident that the regions in Saudi Arabia are just regions and not independent entities. We would like to expand our security cooperation with partners in the region by working in a coordinated way with the GCC, including through the sales of U.S. defense articles through the GCC as an organization. Although the U.S. Department of Defense faces serious budget constraints, the Obama administration has been trying to reassure GCC states of its continued commitments in the Gulf while making sure that the region's military capabilities evolve to meet new threats. Progress in missile defense, the administration hopes, will open the door to broader cooperation and burden sharing within the GCC. Developing an effective shield over the entire GCC would require partner nations to put aside rivalries and coordinate their individual arsenals. It would seem then that Washington's overall ballistic missile defense objectives in the Gulf include the following: the defense of U.S. forces in the region; the protection of oil infrastructures and strategic installations; the signaling of a U.S. commitment to defend the GCC states; the deterrence and, if it should come to that, containment of a nuclear Iran; improved cooperation between the GCC states; and the promotion of U.S.-made weapon systems in the region—a lucrative enterprise totaling billions of dollars and generating thousands of jobs in the United States defense sector. In contrast to U.S. efforts in Europe with NATO, Washington's BMD efforts in the Persian Gulf demonstrate more of an ad hoc nature, occurring mostly behind the scenes and on a country-by-country basis as seen by the billions of dollars in arms sales negotiated bilaterally between the U.S. government and the GCC nations. As far as the Gulf states are concerned, a critical goal—and challenge—is BMD integration, an objective that may remain hostage to inter-state rivalries. Alongside Iran's attempts to drive wedges between the six states, the difficulty of forming a more cohesive security agenda also stems from the smaller members' fear that Riyadh is attempting to increase its regional influence and force them to fall into line with its foreign policy. Even under optimal political conditions, the technical challenges of integrating BMD assets among all GCC members would be substantive. Historic rivalries, disagreements concerning objectives, and disputes over who really is in command and control have been and continue to be the major point of contention affecting cooperation on BMD in the Persian Gulf. Furthermore, can BMD alter Saudi proliferation decisions? Would it help discourage Riyadh from pursuing, developing, or fielding nuclear weapons? The likely answer is no. Proliferation decisions like these largely depend on the broader geopolitical context, including the Iranian future nuclear posture and the relationship between Washington and Riyadh, which has been on shaky ground throughout the Obama years. Although BMD is an essential component of GCC strategic architecture, it cannot be an alternative to an effective deterrence posture vis-à-vis Iran. Given Riyadh's historical involvement with nuclear weapons programs and its military inferiority to Tehran, it is liable to strive for a nuclear deterrent of its own. Developing an effective shield over the entire GCC would require partner nations to put aside rivalries, share information, and coordinate their individual arsenals. Perhaps, as the threat from Tehran increases, it will be easier to achieve cooperation in this regard. However, the opposite effect may just as easily take place with some countries actually moving closer to Iran out of fear or in an attempt to piggyback on its new strength. Yoel Guzansky is a fellow at the Institute for National Security Studies, Tel Aviv University, and former Iran coordinator at Israel's National Security Council. His recent publications include The Arab Gulf States and Reform in the Middle East: Between Iran and the "Arab Spring" (Palgrave, 2014). Yiftah S. Shapir is the head of the Institute for National Strategic Studies' Middle East Military Balance project. "Unclassified Report to Congress on the Military Power of Iran," U.S. Defense Intelligence Agency, Washington, D. C., Apr. 2010. "Iran's Ballistic Missile Capabilities: A Net Assessment," International Institute for Strategic Studies (IISS), London and Washington, May 2010. "Iran's Naval Forces: From Guerilla Warfare to a Modern Naval Strategy," Office of Naval Intelligence, U.S. Navy, Washington, D.C., Fall 2009, pp. 7, 13. Haaretz (Tel Aviv), June 11, 2007. Joshua R. Itzkowitz Shifrinson and Miranda Priebe, "A Crude Threat: The Limits of an Iranian Missile Campaign against Saudi Arabian Oil," International Security, Summer 2011, p.168. See, for example, Reuters, Dec. 27, 2011. Associated Press, July 15, 2012. See, for example, Joshua Keating "Saudi Arabia's Military Shopping Spree," Foreign Policy, Aug. 27, 2012; "The Saudis' American Shopping Spree: F-15s, Helicopters and More," Defense Industry Daily, updated Sept. 14, 2014. The Washington Post, July 28, 2007. Agence France-Presse, July 30, 2007. "Gulf States Requesting ABM-Capable Systems," Defense Industry Daily, updated Oct. 2, 2014. "US 5th fleet & US Naval Forces Central Command website, accessed Oct. 14, 2014. "Scenesetter for Manama Dialogue, December 11-13," The Telegraph (London), Feb. 18, 2011. Kenneth Katzman, "Kuwait, Security, Reform and U.S. Policy," Congressional Research Service, Washington, D.C., Apr. 29, 2014, pp. 15-6; "Kuwait - PAC-3 Missiles, PAC-2 Missiles To GEM-T And PATRIOT System Upgrade," Spacewar, Dec. 7, 2007. Keating, "Saudi Arabia's Military Shopping Spree," p. 16. "Qatar—PATRIOT Missile System and Related Support and Equipment," Defense Security Cooperation Agency, no.12-58, U.S. Dept. of Defense, Washington, D.C., Nov. 7, 2012. "Qatar—Terminal High Altitude Area Defense (THAAD), Defense Security Cooperation Agency, no. 12-49, U.S. Dept. of Defense, Washington, D.C., Nov. 5, 2012. The Wall Street Journal, July 17, 2012. Daniel Pipes, "Has Iran Gained a Foothold in the Arabian Peninsula?" DanielPipes.org, Jan. 18, 2014. Space Daily (Aus. ), Dec. 7, 2007. "Raytheon awarded not-to-exceed $3.3 billion Patriot order for the UAE," Raytheon Company, Waltham, Mass., Dec. 18, 2008. "UAE becomes first international customer to gain the advanced AN/TPY-2 radars," Raytheon Company, Waltham, Mass., Dec. 30, 2011; Bloomberg Business Week (New York), Jan. 6, 2012. Kommersant (Moscow), June 30, 2006; The Voice of Russia Radio (Moscow), Dec. 4, 2009. 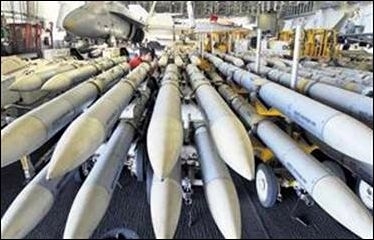 "Raytheon Receives $1.7 Billion to Upgrade Patriot for Saudi Arabia," Raytheon Company, Waltham, Mass., June 21, 2011. 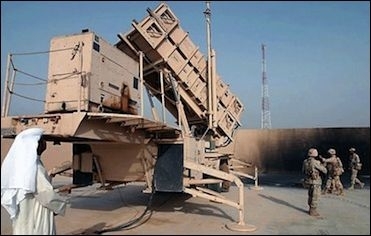 "Kingdom of Saudi Arabia (KSA)—Patriot Air Defense System with PAC-3 Enhancement," Defense Security Cooperation Agency, no. 14-43, U.S. Dept. of Defense, Washington, D.C., Oct. 1, 2014. The Washington Free Beacon, July 28, 2014. Yiftah Shapir and Yoel Guzansky, "Saudi Arabia's New Missile Force," INSS Insight (Tel Aviv), no. 520, Feb. 24, 2014. "Proposed ATACMS Sale to Bahrain Announced," Arms Control Today (Washington, D.C.), Oct. 2000. "Bahrain—Army Tactical Missile Systems T2K Unitary," Defense Security Cooperation Agency, no. 10-57, U.S. Dept. of Defense, Washington, D.C., Nov. 4, 2010. "UAE–High Mobility Artillery Rocket Systems (HIMARS) Launchers," Defense Security Cooperation Agency, no. 14-42, U.S. Dept. of Defense, Washington, D.C., Sept. 29, 2014. "Qatar–HIMARS, ATACMS, and GMLRS," Defense Security Cooperation Agency, no. 12-59, U.S. Dept. of Defense, Washington, D.C., Dec. 29, 2012. Defense News (Springfield, Va.), Feb. 17, 2013. Jax Air News (Jacksonville, Fla.), Nov. 26, 2013. 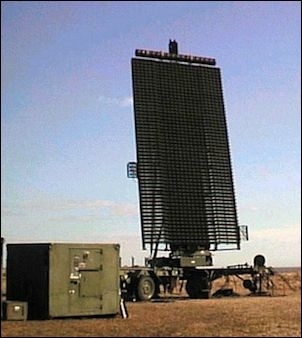 "Qatar-AN/FPS—132 Block 5 Early Warning Radar," Defense Security Cooperation Agency, no. 13-33, U.S. Dept. of Defense, Washington, D.C., July 29, 2013. Tom Z. Collina, "U.S. Pushes Missile Defense in Mideast," Arms Control Today (Washington, D.C.), May 2012. "Ballistic Missile Defense Review Report," U.S. Department of Defense, Washington, D.C., Feb. 1, 2010. Defense News, Dec. 7, 2013. Frank A. Rose, deputy assistant secretary, Bureau of Arms Control, Verification and Compliance, Peter Huessy Breakfast Series, Capitol Hill Club, Washington, D.C., May 14, 2014. Related Topics: Iran | Yoel Guzansky | Winter 2015 MEQ receive the latest by email: subscribe to the free mef mailing list This text may be reposted or forwarded so long as it is presented as an integral whole with complete and accurate information provided about its author, date, place of publication, and original URL.